Machines for farmers and small dairies have been built by Abfülltechnik Zootechnika Machinery Ltd for more than 30 years. When a farmer retails his own milk, he usually gets greater returns than when milk is sold in any other way. We offer dairy equipment needed for retailing milk from the farm, which are designed and manufactured by our company providing the highest quality at reasonable prices with the best service and technical support. 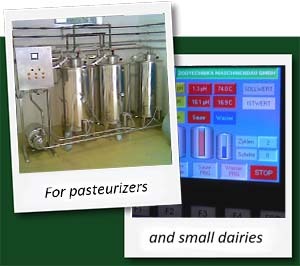 We have developed numerous milk pasteurizers and filling machines for small and medium sized milk quantities.Whether you are thinking about retailing milk directly from farm, or simply want to save time, we will be pleased to help you in planing and realizing your solution. 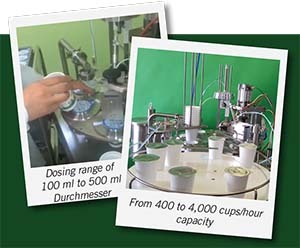 Product handling according to its specific requirements. 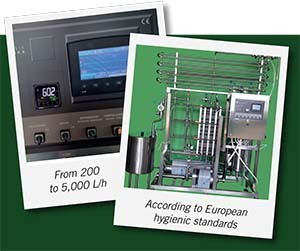 We offer pasteurizers with a capacity ranging from 200 up to 5000 ltr/hour. 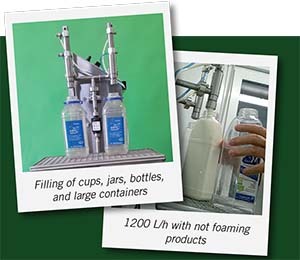 Filling of cups, jars, bottles, and large containers, with up to 1200 L/h capacity. 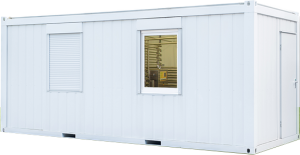 The product line ranges from liquids to pasty, from solid to lumpy products Dosing range of 100 ml to 500 ml, from 400 to 4,000 cups/hour capacity. 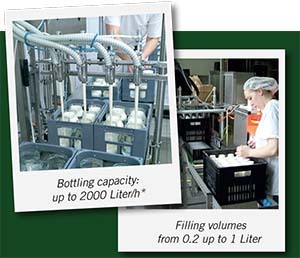 Bottling capacities up to 2000 Liter/h, filling volumes from 0.2 up to 3 Liter. Save time when filling with portioner.Manually driven filling equipment for liquids with table top design. 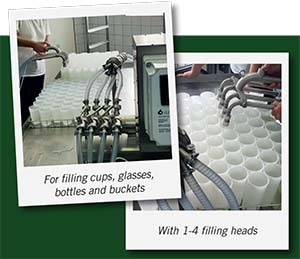 Filling cups, glasses, bottles and buckets, with 1- 4 filling heads.